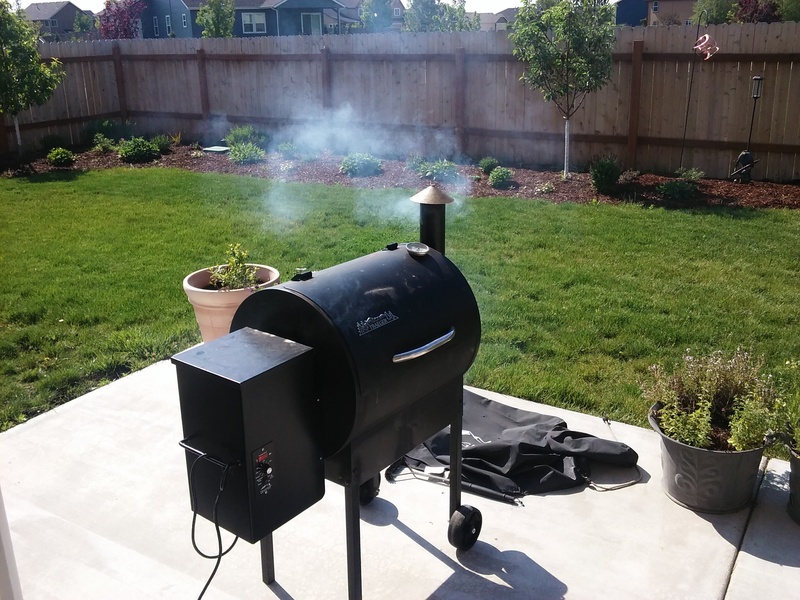 Thread: Looking for a new/bigger smoker...got a favorite? I have started looking for a bigger smoker and was hoping to get any feedback that might be had here about other brands I haven't used. I currently have a Lil Tex Traeger. I have had it for @ 8 years and really like it. I love being able to use pellets and the ability to set the temp and only have to babysit it a little bit on long smokes. I am considering just getting the next larger Traeger, but they are using much thinner metal these days and quality has gone downhill. I am considering the Rec Tec, Green Mountain, Larger Traeger, Yoder (prob not due to price). Does anyone have insight in to any of these, and/or any others I may be missing? I do want something that is electric in nature either pellet, wood chips, or combo of the two that has a computer controlled temp system. I am watching this thread though - if for no other reason than future ideas. The Traegers are made in China now. Coach Traeger sold the business and they went to hell. Coach Traeger is a good friend and a fantastic guy, its too bad the company is no longer his. I personally use a Big Green Egg and I love the thing. It uses chunk real charcoal instead of pellets. There is a little more maintenance but it is more versatile. The body is very thick ceramic, so it cooks like a dutch oven. I can load it with charcoal and set the vent to regulate the temp and let it cook for 14 hours and the temp does not vary. I bake in it, I can also stoke it up to 700-800 degrees and sear steaks. I've baked bread, cooked pizza and baked lava cakes. I've also smoked cheese on it and smoked casseroles. Merlin and Nomad like this. Yeah I looked at a bigger Traeger, but the lid on the larger one didn't weigh as much as my current smaller one. Pretty much ruled them out. I almost bought a knock off ceramic at Costco last weekend but the patio is already crowded.